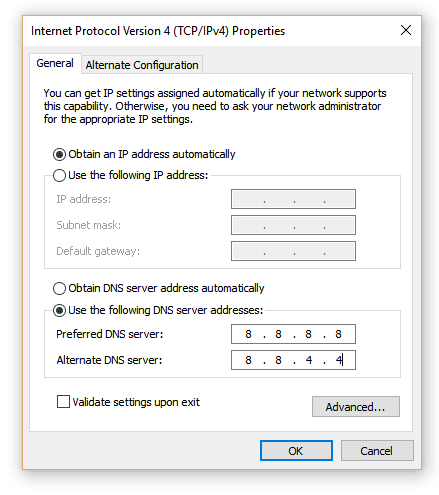 Faults in DNS or APN settings. Here are some methods given below to resolve DNS_PROBE_FINISHED_NO_INTERNET problem. Right click on the Start button and select Command Prompt (admin) or Windows Powershell (Admin). Type ping -t 4.2.2.2 and hit Enter. This means that the internet is connected. 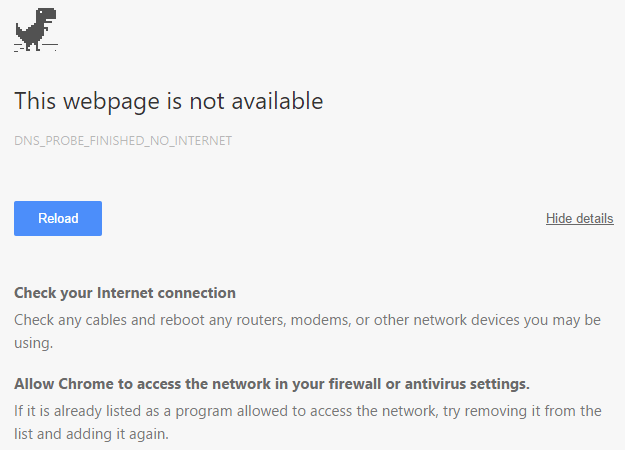 If it shows Request Timed Out then the internet is not connected. Check that wired or wireless adapter is connected to the router. Type network in the search box and then go to Network status. Locate for your Network Connection provider in Local Area Connection or Wireless Connection and select Properties by right-clicking on the icon. 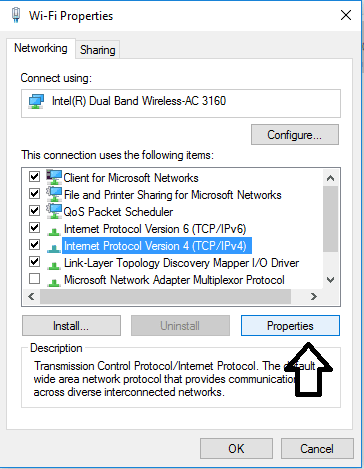 In the newly opened window, opt for the Internet Protocol (4 TCP/IPv4) and click Properties. Select the Use the following DNS server address instead option. Re-launch Google chrome and check for the issue. Press Win + X and select Control Panel. Type Windows Firewall in the search bar located in the top right corner and click Windows firewall. Click Turn off Windows firewall (not recommended) in both private and public network settings. Press Win + X and select Device Manager. 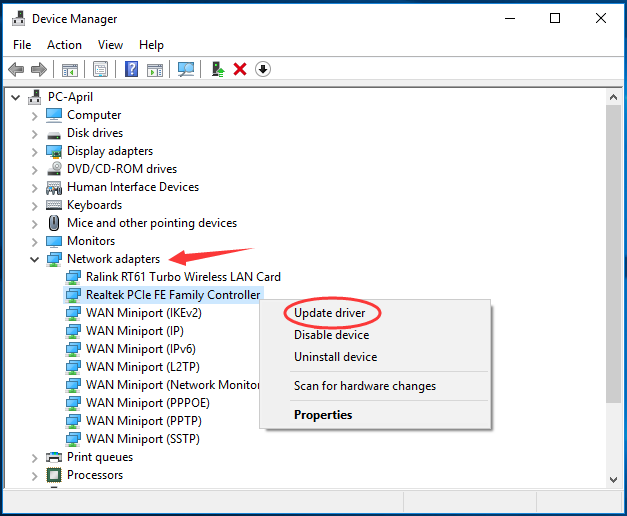 In Device Manager window expand Network Adapter, then right-click on your network adapter driver software currently used to choose Update driver. Just keep on to follow the on-screen instructions to complete updating if there’s one detected. Type cmd in the search box & you will get Command Prompt as a search result. Right click on it & select Run as administrator option. Type the commands below and press Enter after each. Press Windows + X and click on Command Prompt Admin. 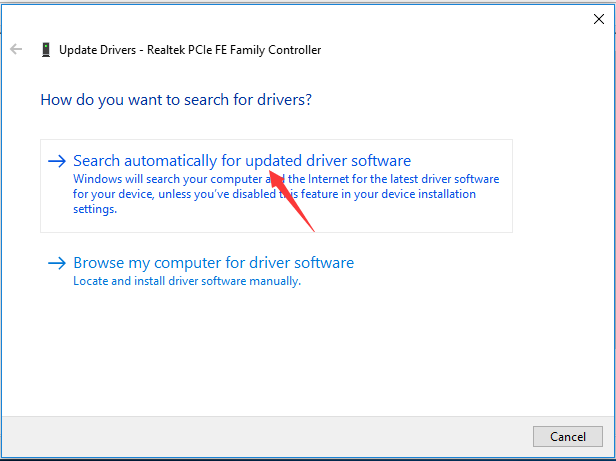 Reboot your PC and open the same page that was showing you the DNS_PROBE_FINISHED_NO_INTERNET error.